Charlotte Kelley is a host of exceptional ability. Studies show that a vast majority of guests attending events by Charlotte have been known to leave more elated than visitors to Santa's Workshop, The Lost of Continent of Atlantis, and the Fountain of Youth. Can you beat these champions next week? Want to join in on the best community event at VMworld? ﻿ Come to vFlipCup next week! We're back for a fourth year! Join us for vFlipCup 2015, the best VMworld Community Event hosted by Actifio and Nutanix. Come join the cool kids, just a short walk from the Moscone Center at the Mezzanine on Monday, August 31st. All proceeds go to Loaves and Fishes, a local San Francisco charity. Get your game face on and compete for the cup! Team entries are limited, so be sure to secure your spot before they run out! All proceeds go to Loaves and Fishes! 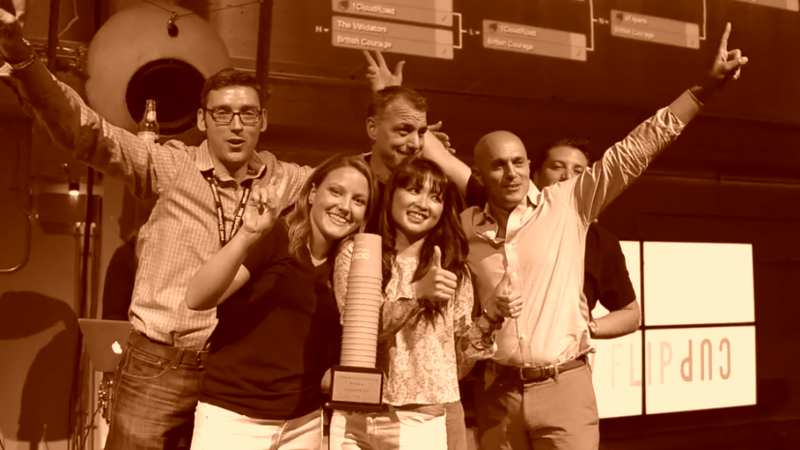 Check out this video to find out why vFlipCup has become the best VMworld community event! Follow us @actifioevents for exciting updates in the weeks to come!